Should My Patient Get an Amyloid PET Scan for the Diagnosis of Alzheimers? In April, the Food and Drug Administration (FDA) approved florbetapir F-18 (Amyvid) PET scans to identify areas of accumulation of amyloid plaques. Centers for Medicare and Medicaid Services (CMS) though has yet to allow reimbursement for amyloid PET scans for the evaluation of dementia outside of clinical studies, citing insufficient evidence that it improves health outcomes for Medicare beneficiaries. The CMS decision is strongly opposed by Eli Lilly and its subsidiary Avid Radiopharmaceuticals, the makers of Amyvid. The Alzheimer's Association also was "disappointed" by the CMS decision, stating that there was “clear, scientific consensus recommendations by the Association and the Society for Nuclear Medicine and Molecular Imaging (SNMMI) regarding appropriate, limited coverage, only in specific populations." 1. Evidence Base for its clinical utility: poor. JAMA Internal Medicine just published an exellent review on the subject, which highlights the "extremely limited data with which to evaluate the clinical utility of amyloid PET." 2. Ability to detect amyloid in the brain: great! 3. The clinical usefulness of a positive test: unclear except in the elderly where it probably isn't so good. The FDA-approved label for Amyvid states that a positive scan does not confirm the diagnosis of AD or other disease. Why? Amyloid plaques can be found in about a third of cognitively normal older adults as well as in other diseases. Furthermore, the older you are, the more likely you are to have amyloid in the brain even if you don't have any cognitive impairment, significantly decreasing the positive predictive value of a amyloid PET scan. And with every diagnostic test, its the positive predictive value that really matters. So what does a positive test really add? There is somewhat soft evidence from a study by Doraiswamy that in the MCI population a positive amyloid PET may increase the risk for progression to clinically diagnosed Alzheimer's disease in individuals with mild cognitive impairment. However, based on this study, 29% of those with positive scans progressed to clinically diagnosed AD compared to 10% of those with negative scans. In real life terms, what does a 19% difference really mean to a patient? Are they really going to do something different based on a 10% versus a 29% chance of developing Alzheimer's disease? A negative scan means that you likely don't have many amyloid plaques in your brain, which also means you probably don’t have Alzheimer's (at least for now). However, based on the last study I mentioned on MCI, there was still a 10% conversion to clinically diagnosed Alzheimer's disease in those with negative scans. Also, a negative scan doesn't really help in figuring out what is causing the impairment other than it’s not likely Alzheimer's. Finally, there are no good studies to suggest that a negative test changes in subsequent clinical management or whether any changes in management would produce net health benefits to those that really matter: patients and families. Again, based on the JAMA Internal Medicine article discussed above, there is no evidence to suggest that the test can be used to accurately predict the risk or the timing of progression of mild cognitive impairment. 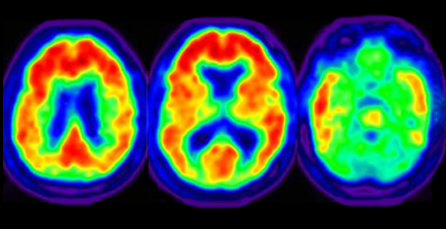 Amyloid PET scans: not ready for prime time. Good call CMS. Succinct and to the point; 5 points that is. Another test to CHOOSE WISELY to avoid. Thanks, Eric, and, I agree, good call CMS. I did steer clear of the issue, but now that you asked, here are my thoughts. I have great respect for the Alzheimers association. I do take some issue with their statement that they were "disappointed" by the CMS decision, stating that there was “clear, scientific consensus recommendations by the Association and the Society for Nuclear Medicine and Molecular Imaging (SNMMI) regarding appropriate, limited coverage, only in specific populations." This consensus statement was littered with conflicts of interests. 8 out of 14 individuals listed as either task force members or reviewers had relationships with a company that has developed radiotracers to detect beta-amyloid plaques (Avid/Lilly and GE). Is it really that hard to find individuals that have not had a relationship with Lilly, Avid, or GE that the majority of task force members and reviewers had a conflict of interest with these companies?